Everyone should support breast cancer screening, right? After all, these are medical tests that can save lives. Or do they? A new study out of the U.K. is suggesting otherwise. The study, performed at the Department of Public Health at the University of Oxford, was no short affair—it spanned almost 40 years and included data painstakingly compiled since 1988. The research team from Oxford looked at death certificates recorded since the National Health Services Breast Screening Programme started in 1988. When the researchers analyzed the numbers, they discovered that there was nothing that suggested a drop in deaths due to breast cancer screening. The researchers did caution that this study deals with a large cohort and doesn’t reflect the individual benefit breast screening might impart. It’s likely that, on a person-by-person basis, breast cancer screening will indeed show a benefit in reduced mortality. There is one other “grey” area in the study and that is the advances made in treatments and the technology used to conduct breast cancer screening. Because treatments are more effective now, they are reducing the number of deaths significantly, regardless of whether a patient has or hasn’t been screened for breast cancer. As breast cancer screening becomes more sophisticated, outcomes will also be affected by this new technology. Let’s take a look at the other side of the argument for a moment—that breast cancer screening does save lives. 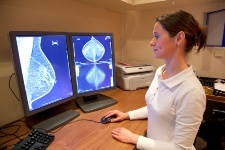 A Netherlands trial completed last year investigated whether improvements in mammography screenings and breast cancer treatments have had any influence on the effectiveness of breast cancer screenings. This trial was also large-scale and covered data from 1975 to 2008. Where does the truth lie? Likely somewhere in the middle. Breast cancer screening has limitations. If the screening occurs exactly in the period when breast cancer is developing, then the screening process will be able to detect something is wrong before symptoms appear. It isn’t really possible to figure out this “window of detectability” in each individual person. The best the screening process can do is to estimate based on average lead times for the development of breast cancer. On a positive note, mammography screenings have improved in a number of areas. The training of radiographers and radiologists is more thorough and detailed, increasing the potential benefit of having a screening. In the past, many women have been falsely identified with breast cancer. Also, the potential risk of radiation exposure—often cited as reason to avoid breast cancer screenings—has been greatly reduced with the introduction of an “anti-scatter” grid while performing the mammography. Technology has also made it possible to focus on much smaller pinpoints, while at the same time improving image quality. At the end of the day, deciding to screen for breast cancer is a big decision—and it shouldn’t be taken lightly. Make sure you have all the information you need, before you make a decision. Paddock, C., “Breast Cancer Screening Does Not Reduce Deaths Says Study of 40 Years of Mammograms,” Medical News Today web site, June 11, 2013; www.medicalnewstoday.com, last accessed June 11, 2013. Van Schoor, G., et al., “Increasingly strong reduction in breast cancer mortality due to screening,” Br J Cancer. March 15, 2011; 104(6): 910–914.